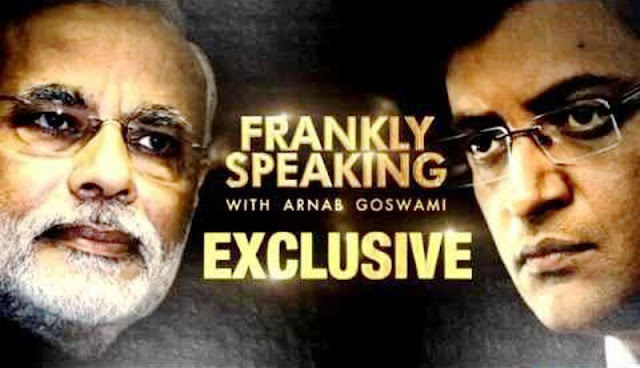 Prime Minister Narendra Modi spoke to TIMES NOW's Editor-in-Chief Arnab Goswami on Frankly Speaking on a wide range of issues. In a tell-all 85 minutes free-wheeling interview, PM Modi spoke on India's efforts to get NSG membership, foreign policy of India, talks with Pakistan, Government's 'lakshman rekha' for holding talks with Pakistan, empowerment of the poor, India's stand on terrorism, job creation, on Raghuram Rajan and party MP Subramanian Swamy's attacks on the RBI Governor, black money, Agusta scam, Parliament disruptions by the Opposition parties, issue of GST bill, accountability of the government, price rise, and more.This is the first time a sitting Prime Minister gave a no holds barred interview to a private channel. Watch the full interview.